The Oliver Peoples Ajax OV5303S 141183 is a 1960's inspired angualr frame in Oak/Brushed Silver Featuring custom CR-39 polarized Sage lenses. Not overly designed but perfectly styled. Bold, Intellectual is the main style and are made to the highest of standards that Oliver Peoples has become known for. Every part of the design relates to the quality and function of the frame. This unisex frame is perfect for city escapes or as an everyday frame. The Lenses in the Ajax are a complimentary sage colour way. 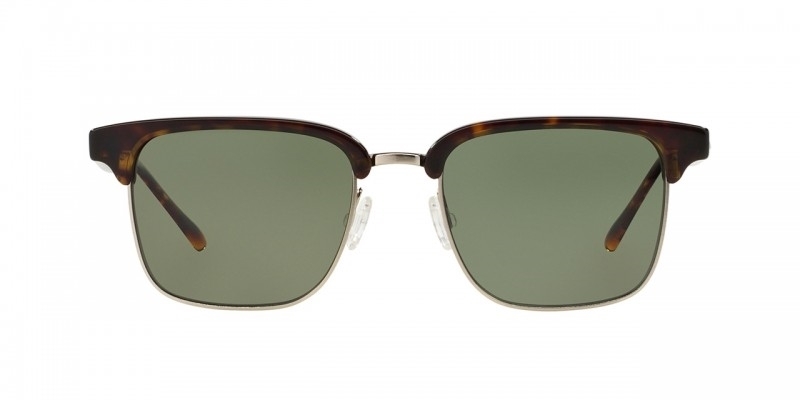 The Ajax is part of the Oliver Peoples West collection. The Oliver Peoples Ajax are covered by the 12 month no quibble Sendoptics guarantee.